Perhaps you don't fancy driving in Europe. Great! The comprehensive rail and transit network can not only get you around, but can do so with style and comfort. 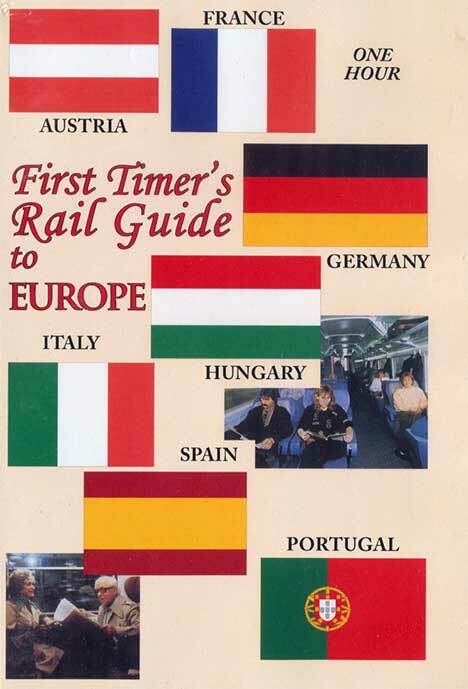 Sample the trains of seven nations, along with some of the events along the way in November 1998. Veteran traveler Mike Coleman and first time European visitor Ron McElrath share the fun, plus travel tips. Visit the Bremen Freimarkt, a sort of local Oktoberfest. Cruise Venetian canals. See the 80th annual Armistice Day Parade in Paris - tanks, bands, horse cavalry... And a timely "rescue" courtesy of the American Field Service! There's magnificent Budapest, Milan, Munich, Vienna, Barcelona, Madrid, and Lisbon. And all reached by trains ranging from the traditional as seen below at Budapest, to overnight sleepers, and the latest high speed ICE and TVG marvels. Watch, and then be held back no longer!